We're having so much fun with these Pantone inspirations - and according to our Pinterest boards, you are, too! 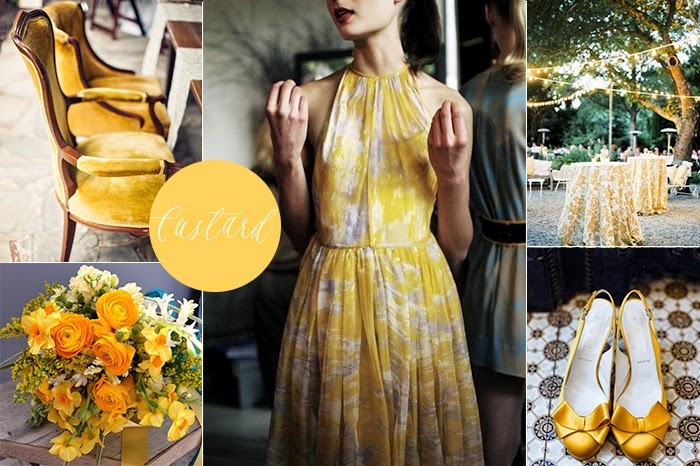 This week we're inspired by Custard - a gorgeous yellow that's not too sunny, not too mustard-y and perfectly cheerful. We love mixing it with Strawberry Ice or even Lavender Herb for something a little unexpected and extra spring-y. Or if you're looking to put a nautical twist on your palette, pair it with Classic Blue for the perfect Spring or Summer color combination. upcoming wedding or spring shopping trip! Did you miss some of our Pantone posts?